Sweet, juicy, and ripe are just a few words describing our fresh fruits and vegetables. The Market Fresno places a high priority in sourcing, selecting and selling locally-grown and coastal fruits and vegetables, something that we have always been known for. In our agriculturally rich valley we feel fortunate to have relationships with our farmers and are pleased to give our customers choices of locally grown produce. We also carry USDA certified organic produce, which is grown by the California Certified Organic Farmers, and we are one of a few places where you’ll find Fresno State’s farmers market produce being sold, off-campus. 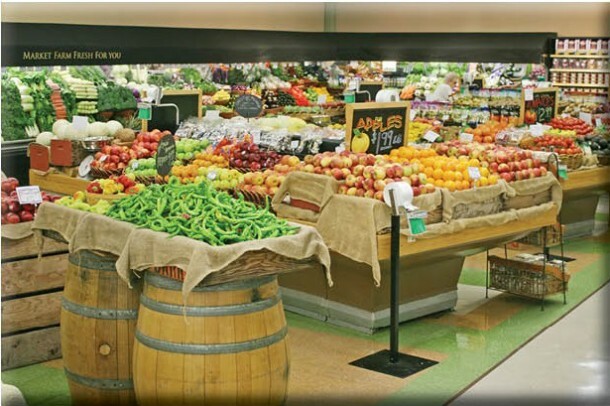 Walk down our produce aisles and feast your eyes on the colorful display of fruits and vegetables, from juicy strawberries to refreshing cucumbers, artichokes, pumpkins and squash, peas, corns and delectable mushrooms! So whether it’s an ingredient in a favorite recipe, making healthy choices for your family, or just a convenient healthy snack, The Market has the freshest produce you’ll need today. (559) 432-3306 | Map It!